In the past dozen years, the methods of analyzing and treating groundwater conditions have vastly improved. The Third Edition of Construction Dewatering and Groundwater Control, reflecting the most current technology and practices, is a timely and much-needed overview of this rapidly changing field. 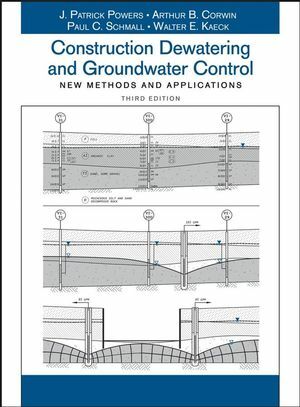 Illustrated with hundreds of new figures and photographs and including numerous detailed case histories, the Third Edition of Construction Dewatering and Groundwater Control is a comprehensive and valuable reference for both students and practicing engineers alike. 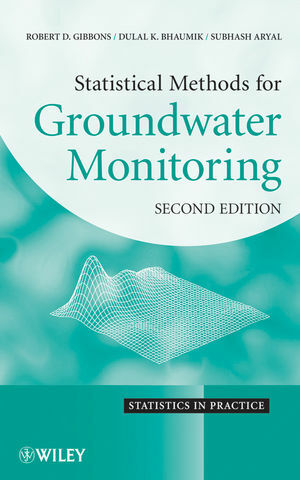 Construction Dewatering and Groundwater Control is an indispensable tool for all engineering and construction professionals searching for the most up-to-date coverage of groundwater control for various purposes, the modern ways to identify and analyze site-specific situations, and the modern tools available to control them. J. Patrick Powers is a consultant with Mueser Rutledge Consulting Engineers in New York, New York. Arthur B. Corwin is President of Moretrench in Rockaway, New Jersey. Paul C. Schmall is Vice President and Chief Engineer of Moretrench. Walter E. Kaeck is a Senior Associate with Mueser Rutledge Consulting Engineers. 1.1 Groundwater in the Hydrologic Cycle. 1.3 Development of Modern Dewatering Technology. 2.3 Mineral Composition of Soils. 3.3 Porosity, Void Ratio and Water Content. 3.4 Relative Density, Specific Gravity, and Unit Weight. 3.5 Capillarity and Unsaturated Flow. 3.6 Specific Yield and Specific Retention. 3.8 Plasticity and Cohesion of Silts and Clays . 3.9 Unified Soil Classification System (ASTM D-2487). 3.11 Visual and Manual Classification of Soils. 3.12 Seepage Forces and Soil Stress. 3.13 Gravity Drainage of Granular Soils. 3.14 Drainage of Silts and Clays: Pore Pressure Control. 3.15 Settlement as a Result of Dewatering. 3.17 Other Side Effects of Dewatering. Hydrology of The Ideal Aquifer. 4.1 Definition of the Ideal Aquifer. 4.3 Storage Coefficient Cs and Specific Yield . 4.4 Pumping from a Confined Aquifer. 4.6 The Unconfined or Water Table Aquifer. 5.3 Recharge Boundaries: Radius of Influence R0. 5.5 Delayed Release from Storage. Dewatering Design Using Analytical Methods. 6.1 Radial Flow to a Well in a Confined Aquifer. 6.2 Radial Flow to a Well in a Water Table Aquifer. 6.3 Radial Flow to a Well in a Mixed Aquifer. 6.4 Flow to a Drainage Trench from a Line Source. 6.5 The System as a Well: Equivalent Radius rs. 6.6 Radius of Influence Ro. 6.7 Hydraulic Conductivity K and Transmissivity T.
6.8 Initial Head H and Final Head h.
6.11 Specific Capacity of the Aquifer. 6.12 Cumulative Drawdowns or Superposition. 6.13 Capacity of the Well Qw. 6.14 Flow Net Analysis and the Method of Fragments . Groundwater Modeling using Numerical Methods. 7.1 Models in Dewatering Practice. 7.2 When to Consider a Numerical Model . 7.3 Principal Steps in Model Design and Application. 7.4 The Conceptual Model: Defining the Problem to be Modeled . 7.9 Prediction and Parametric Analyses. 7.10 Some Practical Modeling Problems. 7.11 2-D Model: Well System in a Water Table Aquifer. 7.12 Calibrating the Model . 7.13 3-D Model: Partial Penetration. 7.14 3-D Model: Vertical Flow. 7.15 3-D Model: Transient Analysis of a Progressive Trench Excavation. 7.16 3-D Model: Feasibility of Tunneling in a Stratified Aquifer with Proximate Recharge. 8.2 Ordinary Piezometers and True Piezometers. 8.4 Verification of Piezometer Performance. 8.5 Obtaining Data from Piezometers. 8.6 Pore Pressure Piezometers in Fine-grained Soils. 8.7 Direct Push Technologies for Piezometer Installation. 9.1 When a Pumping test Is Advisable. 9.3 Design of the Pumping Well. 9.5 Duration of Pumpdown and Recovery. 9.7 Monitoring the Test . 9.8 Analysis of Pumping Test Data. 9.12 Testing of Low Yield Wells . 9.13 Delayed Storage Release: Boulton Analysis. 10.2 Bays and Ocean Beaches. 10.5 Disposal of Dewatering Discharge. 10.6 Water from Existing Structures. Geotechnical Investigation of Dewatering Problems. 11.1 Investigation Approach and Objectives. 11.2 Preliminary Studies and Investigations. 11.3 Borings and Test Pits. 11.4 In Situ Test Methods. 11.5 Piezometers and Observation Wells. 11.6 Borehole Seepage Tests for Evaluation of Hydraulic Conductivity. 11.7 Laboratory Analysis of Samples. 11.8 Chemical Tests of Groundwater. 11.11 Permanent Effect of Structures on the Groundwater Body. 11.12 Investigation of Potential Side Effects of Dewatering. 11.13 Presentation in the Bidding Documents. 12.1 Types of Pumps Used in Dewatering. 12.5 Cavitation and Net Positive Suction Head. Groundwater Chemistry, Bacteriology, and Fouling of Dewatering Systems. 13.3 Dewatering in Corrosive Groundwater Conditions. 13.7 Dewatering Systems and Incrustation. 13.8 Field Evaluation of Well Fouling. 13.9 Rehabilitation and Maintenance for Incrustation. 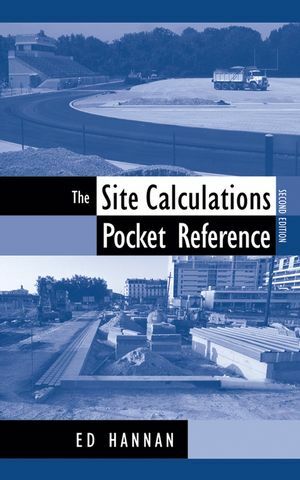 14.2 Design Options at a Contaminated Site. 14.3 Estimating Water Quantity to Be Treated. 14.4 Other Considerations in Treatment Design. 14.5 Elements of Groundwater Treatment. 14.6 Recovery of Contaminated Water with Dewatering Techniques. 14.8 Wellpoint Systems and Multi-Phase Contaminants. 15.1 Dewatering Pipe and Fittings. 15.2 Losses in Discharge Piping. 15.3 Losses in Wellpoint Header Lines. 15.4 Losses in Ejector Headers. Choosing a Method of Groundwater Control. 16.1 To Pump or not to Pump. 16.2 Open Pumping versus Pre-drainage. 16.4 Methods of Cut-off and Exclusion. 16.5 Methods in Combination . Sumps, Drains, and Open Pumping. 17.1 Soil and Water Conditions. 17.6 Slope Stabilization with Sandbags, Gravel and Geotextiles. 17.8 Soldier Piles and Lagging: Standup Time. 17.9 Long-Term Effect of Buried Drains. 18.1 Testing during Well Construction . 18.2 Well Installation and Construction Methods. 18.3 Wellscreen and Casing . 18.5 Development of Wells . 18.6 Well Construction Details . 18.7 Pressure Relief Wells, Vacuum Wells . 18.8 Wells that Pump Sand . 18.9 Systems of Low-Capacity Wells . 19.2 Single and Multi-stage Systems. 19.8 Wellpoint Pumps, Header and Discharge Piping. 19.13 Wellpoints for Stabilization of Fine-Grained Soils. Ejector Systems and Other Methods. 20.1 Two-Pipe and Single-Pipe Ejectors. 20.4 Design of Nozzles and Venturis. 20.5 Ejector Risers and Swings. 20.8 Ejectors and Groundwater Quality. 20.9 Ejectors and Soil Stabilization. 21.1 Cut-off Terminology and Efficiency. 22.2 Freezing Equipment and Methods. 24.5 Effect of Groundwater Movement. 22.6 Ground Movement Potential as a Result of artificial Freezing. 23.1 Applications of Artificial Recharge. 23.3 Potential Problems with Recharge Water and Plugging of Wells. 23.4 Sources of Recharge Water. 23.5 Treatment of Recharge Water . 23.6 Construction of Recharge Systems. 23.7 Operation and Maintenance of Recharge Systems . 23.8 Permits for Recharge Operations. Electrical Design for Dewatering Systems. 24.5 Switchgear and Distribution Systems. 24.6 Grounding of Electrical Circuits. 24.7 Cost of Electrical Energy. 25.1 Types of Long-Term Systems. 25.3 Wellscreens and Wellpoint Screens. 25.5 Groundwater Chemistry and Bacteriology. 26.1 Format of the Estimate. 26.7 Specialty Dewatering Subcontractor Quotations. Dewatering Specifications, Allocation of Risk, Dispute Avoidance and Resolution of Disputes. 27.5 Third Party Damage Caused by Dewatering.